Day 1: Flight from USA to Lima – Peru. Day 2: City tour in Lima and Hotel night in Miraflores area. Day 3: Flight from Lima to Cusco, Walking city tour – Hotel night in Cusco. Day 4: Free day in Cusco City – Hotel Night. Day 5: Train to Machupicchu – Hotel night in the town. Day 6: Machupicchu tour, Train back to Cusco and Hotel night. Day 1: Flight from USA to Lima. The tour will start with your international flight from USA to Lima – Peru, Our flights are commercial and they leave from different cities of USA with different duration and arrival time. Day 2: City Tour in Lima “Gastronomical Capital of South America”. After get the airport in Lima a representative of Kaypi Peru Tours will pick you up to take you to the hotel in Miraflores area. (Just take a note that our representative will wait for you with a banner of our company “GREEN KAYPI HUMMINGBIRD” in the international arrival area close to the first escalator). Miraflores Downtown and the Park of Love. Historical Center of Lima, the Country Hall, the Cathedral. San Francisco Monastery and Catacombs. You will spend the night in Lima City. Day 3: On the way to the High Andes – Walking tour in Cusco City. Plaza de Armas (Cusco’s main square). Plaza San Francisco, and the Mercado Central de San Pedro. The afternoon is free of scheduled activities, giving you time to explore the city by yourself. Horse Riding in Saqsayhuaman Park. Salt Mines of Maras, Moray and Chinchero Textile Center. We manage all these tours in private groups; you just need to ask about them. After breakfast at the hotel, your tour guide will pick you up from the hotel and take you to the train station. You must bring a valid passport for all train travel. The train ride is 1 hour and 45 minutes or 3 hours depending on your train number and train station. After your arrival to Aguas Calientes, know as Machu Picchu town, our representative will pick you up and take you to your new hotel. The rest of the day is yours. You can visit the Orchid museum, The museum Chavez Ballon or Machupicchu site museum or the thermal baths of Aguas Calientes. You will have your breakfast in the hotel, and then your tour guide will pick you up and take you to the bus station where you will take the bus up to the majestic Machu Picchu. Once there, you will begin your guided walking tour. Afterwards, you will have a time to explore the Historical Sanctuary of Machu Picchu by yourself. You must bring a valid passport for entry into Machu Picchu. After enjoying Machu Picchu, you will take the bus back down to Aguas Calientes for lunch, grab your bags at the hotel, and then take a train back to Cusco or Ollantaytambo, where a representative of Kaypi Peru tours will pick you up to take your Cusco hotel for the night. You will spend the night in Cusco City. Day 7: Transfer to the airport, flight to Lima and to USA. Our representative will pick you up from your hotel to take you to the airport where you will catch the flight to Lima and the connection flight to USA. Round trip international flights from USA to Peru. 2 domestic flights in Peru, Lima – Cusco, Cusco – Lima. Taxes and fees for flights. 5 nights’ accommodations (Lima, Cusco, Machu Picchu). Sightseeing per itinerary in modern motor coach. Services of English-speaking local guides. Round trip expedition train to Machupicchu. Buses up and down to Machu Picchu. 3 star hotel provided in all the services. Office support during the 24 hour of the day. Original Passport (if you renewed your passport bring both passports). Most of the cities are navigable by walking or taxi. Taxis are the easiest and most direct way of getting around. Rides can be arranged by your hotel reception desk. Peru’s national currency is the Peruvian Sole. There are plenty of ATM in Peru, from which you can withdrawal Peruvian soles or US dollars, there are also ATM in many supermarkets. You can also change your US dollars at the “casa de cambio” (money exchanges houses), which always give better rates than a local bank. Most stores will accept Peruvian Sole, or Visa credit card. Some smaller stores may accept Peruvian Sole only. Be aware, any bills with a rip or tear in them are not accepted due to problems with counterfeiting. Peru has three main climatic zones: The tropical Amazon Jungle to the east, The Arid Costal Desert to the west; and the Andean Mountains and Highlands in the middle of the country. Peru’s climate varies depending on where you visit. On the coast it is usually quite hot although during the winter (April-August) it can get chilly early in the morning and at night. In the Andes there are two main seasons – wet and dry. The wet season runs from November to April and is wet but usually warmer overall. The dry season runs from May to October and has hot clear days but cold nights. The only one thing you can say about the weather in Peru is that it is difficult to accurately predict. You can beautifully clear hot days in the middle of the wet season and hail storms in the dry season – it’s one of the beauties of Peru. In each city (Lima, Arequipa, Puno, Cusco, Aguas Calientes), there are places where you can do the laundry or if you want you can do it at the Hotel. Yellow fever vaccination is recommended for all travelers older than 9-months of age going to areas above 2,300 meters in elevation, in the following: the entire regions of Amazonas, Loreto, Madre de Dios, San Martin, and Ucayali. All the hotels during your trip have different check-in schedules. You have the option to schedule an earlier check in, but are subject to availability. Usually, early check-in in these hotels have an extra cost around 50 % than the real price. The Hotels on this itinerary are confirmed but are subject to change according to their availability. If there is a change in your hotel, Kaypi Peru Tour will notify you of this change and guarantee a booking of the same level or category. Additional fees may apply for some departure dates. Baggage fees may apply and vary by carrier. Airfare includes carrier and government taxes & fees. Airfare is nonrefundable after booking. The airlines have the right to cancel or modify the itinerary due to bad weather conditions, mechanical problems or air traffic. All cancellations subject to fee up to the Groupon voucher price. There is an additional $200 fee to travel solo (7-day) or $400 fee to travel solo (10-day). Kaypi Peru Tours offers refunds commensurate with the policies of suppliers engaged for personal travel, including tours, air and cruises. Payments made for Group Tours are nonrefundable. Please note that Kaypi Peru Tours reserves the right to accept and cancel reservations for travelers who join escorted groups at our discretion. Every attempt will be made to balance the group with the best interests of all travelers in mind. If during the reservations process, our team anticipates a negative outcome will result to fellow travelers or the tour may potentially be disrupted by a fellow traveler, the reservation will be cancelled and any penalties incurred will be the responsibility of the client. Kaypi Peru Tours acts merely as an agent for suppliers in selling travel-related services, or in accepting reservations or bookings for services that are not directly supplied by this travel agency (such as air and ground transportation, hotel accommodations, meals, tours, etc.). Please note that all payments made to Kaypi Peru Tours and/or partner organizations are entirely non-refundable. 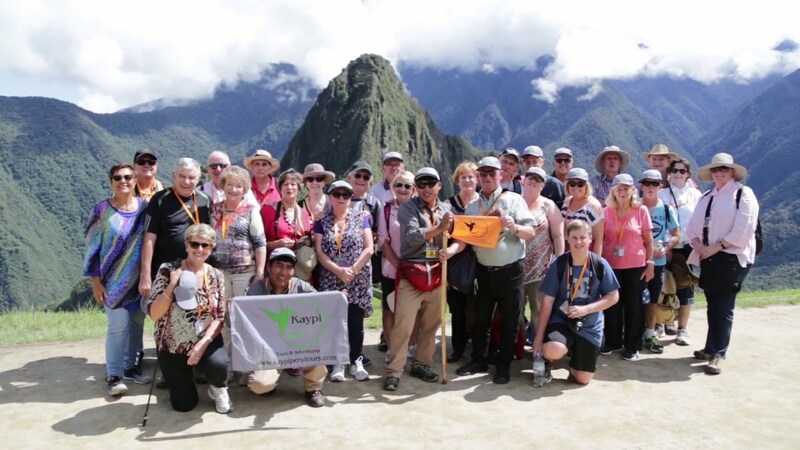 Kaypi Peru Tours shall not be responsible for breach of contract or any intentional or careless actions or omissions on part of such suppliers, which result in any loss, damage, delay or injury to you or your travel companions or group members. Unless the term “guaranteed” is specifically stated in writing on your tickets, invoice or reservation itinerary, we do not guarantee any of such suppliers’ rates, bookings, reservations, connections, scheduling or handling of personal effects. The travel agents and guides shall not be responsible for any injuries, damages, or losses caused to any traveler in connection with any terrorist activities, social or labor unrest, mechanical or construction failures or difficulties, diseases, local laws, climatic conditions, criminal acts or abnormal conditions or developments, or any other actions, omissions, or conditions outside the travel agent’s control. Travelers assume complete and full responsibility for, and hereby release the agent from any duty of, checking and verifying any and all passport, visa, vaccination, or other entry requirements of each destination, and all safety or security conditions at such destinations, during the length of the proposed travel. Please note that Kaypi Peru Tours reserves the right to accept and cancel reservations for travelers who join escorted groups at our discretion. Every attempt will be made to balance the group with the best interests of all travelers in mind. If during the reservations process, our team anticipates a negative outcome will result to fellow travelers or the tour may potentially be disrupted by a fellow traveler, the reservation will be cancelled and any penalties incurred will be the responsibility of the client. Kaypi Peru guarantee your satisfaction, if you book with it, you will go and enjoy.